The TaoTronics LED Grow Light bulb is a low-wattage, energy-efficient way to grow your plants indoors, from start to finish. It’s conveniently packaged as a typical light bulb, so it will fit in almost any desk lamp, and it can be used to help keep your outdoor potted plants alive inside during the winter, or to grow new plants indoors, such as hydroponic gardens. 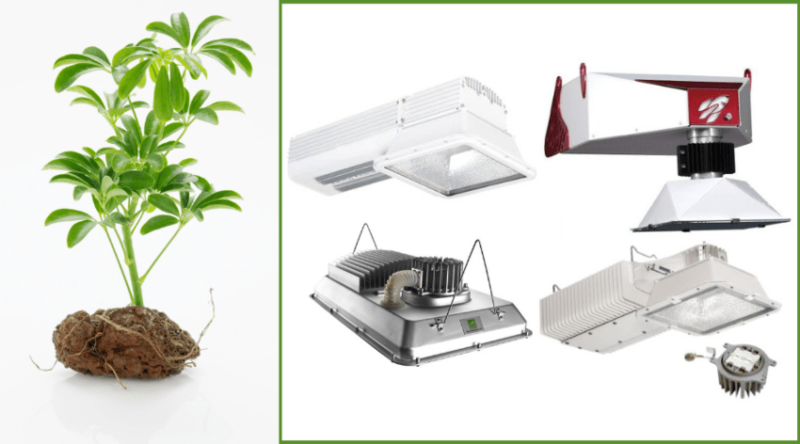 Beyond just saving your plants from an untimely death, it’s possible that the TaoTronics LED grow light can help your plants grow bigger and better than ever. If it sounds too good to be true, keep reading to find out how this bulb works on a variety of plants, and how you might be able to use it in your home. What is the TaoTronics LED Grow Light? 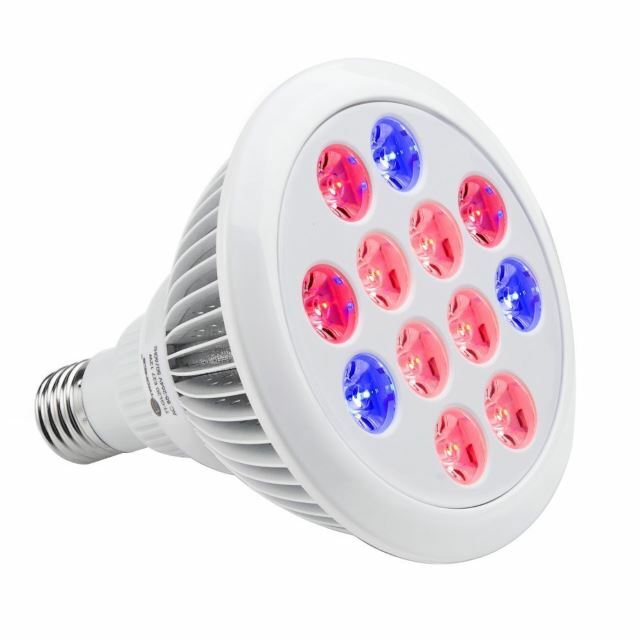 TaoTronics has fashioned an effective grow light with the reds and blues your plants crave, along with a socket that makes it convenient to use in almost any lamp. Just screw it in, point it at your sun-starved plants, and watch them soak up the artificial rays. You should notice a difference in your plant’s health and growth within days of starting them on the TaoTronics LED grow light. 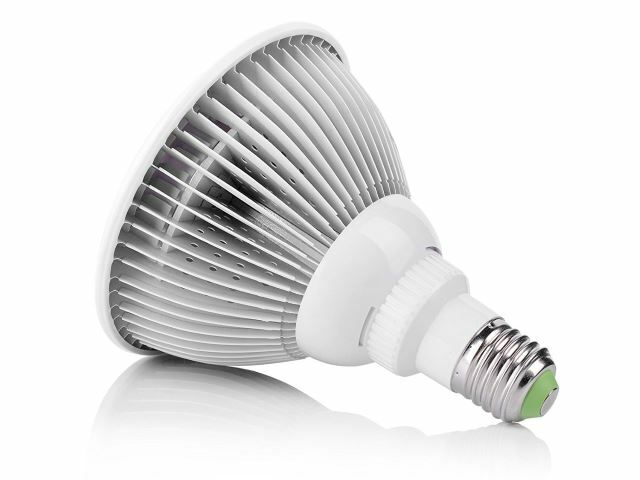 The 12-watt bulb includes 12 LEDs that are 1W each. Nine of the LEDs are red, while three are blue. Both colors of light are on the spectrum that the sun spills out for the plants in the earth. The rays are necessary for a plant’s leaf growth, root strength, and blooming. You may notice after a few days or weeks that your plants are producing more flowers than ever. If you understand gardening and why a wide spectrum of light is needed to grow plants, then you can skip this part. All plants need red and blue lights. Red light is what’s needed to help your plants produce fruit or grow flower blooms. Blue light is necessary to create chlorophyll. Greenlight isn’t terribly necessary, and the reason we know this is because plants’ stems and leaves are green. In fact, when we see light, we perceive it as white light, but it’s actually a wide spectrum of different colors, such as red, blue, and green. Plants absorb reds and blues but reflect the greenback, which is why they look green. TaoTronics is one company that realized how effective LEDs could be in creating the light plants need to grow big, strong, and healthy. Sure, incandescent lights could help give your plant the reds it needs, but it gets too hot and could end up cooking your plant. And fluorescent lamps are effective in providing the blue needed to get your plant’s leaves and stems green, but these are expensive and can be too hot, as well. Perhaps the efficacy and efficiency of this light bulb is the reason it’s used by so many people who grow weed in states and areas where it’s legal to do so. Whether you’re growing orchids in your own private greenhouse or cannabis in your basement, these little lights could be a good addition to your home. If you don’t have the space to dedicate to growing plants where you can block out light, such as in a basement or a separate room in your home, you might want to skip these bulbs. The TaoTronics LED grow light glows a bright purple that could disturb your sleep or day-to-day life. Most plants are going to need a good fake sun soaking for about 10 to 17 hours per day. To understand why the TaoTronics LED grow light is getting such great press, just look at the specifications and the reviews from experts and customers. Not all grow lights are created equally, and this one from TaoTronics spells out exactly what the features are of this bulb, and how they benefit your plants. For photosynthesis to happen, your flowers, trees, shrubs, herbs, cannabis, and anything else you’re growing, needs a wide spectrum of light. Arguably, the most important of these lights are red and blue lights. They help your plants grow tall, wide, and more abundantly. These LED grow light bulbs will help your plants leaves unfurl and spread out, and it will encourage blooms to pop out. You should also notice more blooms than ever. TaoTronics promises about 50,000 hours from each of its LED grow lights. That’s nearly six years’ worth of light. That means that if you powered on your bulbs for 10 hours per day, every day, you could do so for about 13 years or so. That’s an incredible lifespan, and that’s all thanks to LEDs. Many grow lights require you to hang them from another surface and they need special equipment to get them going. This TaoTronics LED grow light simply screws into a standard lamp and just works. That makes it easy to use with equipment you likely already have. And if you don’t, it’s an affordable extra purchase. Chances are, you won’t even see an increase in your electric bill when you use one of these 12-watt bulbs. They may be powerful enough to help create a life where there was none before, but they use energy so efficiently. Even though these TaoTronics lights are listed as 12W, the actual power used is closer to 9W, which is done to extend the lifespan of LEDs. The great thing about LEDs is that they’re bright and effective, but they stay cool. You shouldn’t notice a temperature difference at all when using these in a room. Even if you leave it on for hours at a time, which you likely will, the light bulb stays cool to the touch (or warm, at worst). This also speaks to the bulb’s safety. You can use these grow lights in classrooms or at home where children are present and you won’t have to worry about little fingers getting burned if the children attached to those little fingers get curious. 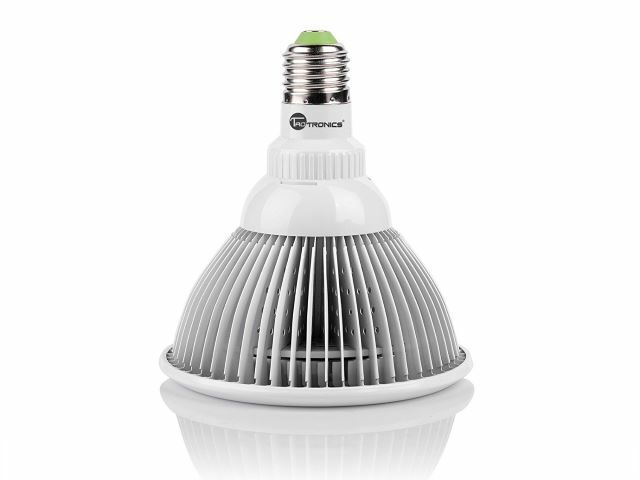 A single 12-watt grow light bulb from TaoTronics is powerful enough to provide light for about a 3-by-2-foot area. 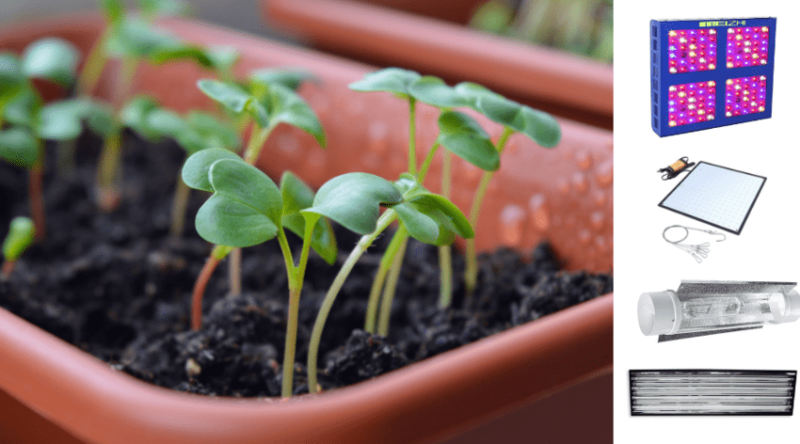 That means it’s a decent size for a small grouping of seedlings or a couple of small potted plants. This would work well for herbs, too. If you have a larger room with more plants that need light for a whole season, or even all year, you might want to invest in a couple or more of these LED grow lights. 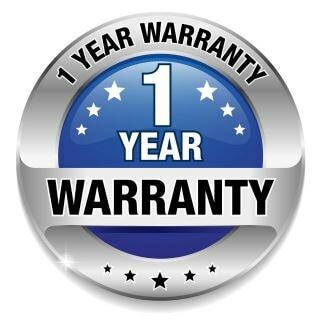 You automatically get a one-year warranty when you buy a TaoTronics LED grow light. If you complete one extra step of registering your bulb with the company, you get an extended warranty for an extra six months. That means if your bulb stops working within that 18-month period, as long as you don’t do anything outside of the norm with it, you’ll be able to get a replacement for free if your bulb is ever proven to be defective. 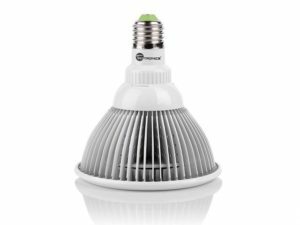 There’s a lot of talk about the TaoTronics LED grow light bulb and for good reason. 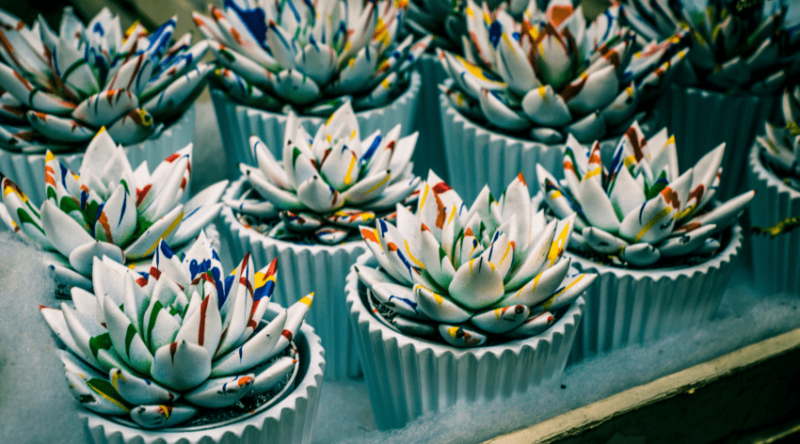 These types of bulbs are relatively new still in the world of gardening and growth. Most people used fluorescent or CFLs to keep their plants happy indoors, but it gets expensive to replace those types of bulbs, they run hot, and they can be energy sappers. Not everyone was totally satisfied with TaoTronics lights, but you might be surprised by the reasons. You really can’t beat the ease of use of this bulb. Many customers who bought this bulb were happy to see that it fit standard lamps. Plus, TaoTronics includes a helpful guide on how to set up your light, and how far away the light should be from your plants to prevent browning. 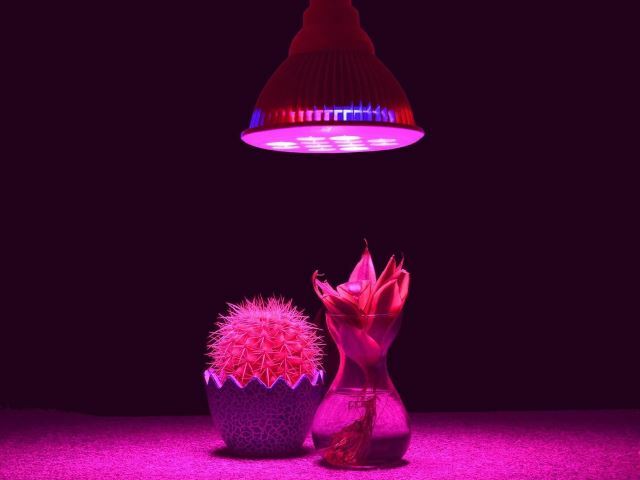 Generally, it’s safe to use this grow light bulb about 1.7 feet away from your plant, up to 5 feet away. The farther away you go, though, the less effective it may be. In some cases, people bought these bulbs to help prevent death to their fruit trees, potted flowers, and herbs during the cold, dark winter months, but were surprised to find their plants not only survived but flourished. To say this is an effective light is putting it lightly. 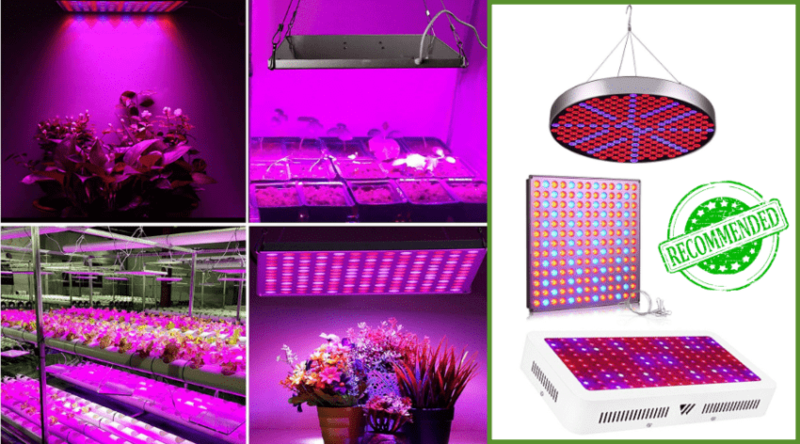 Even skeptics have been silenced when they saw the results of using this LED grow light. Perhaps the biggest issue has been with those who expected the bulb to cover a wide area, but it isn’t designed to do that. The cone of light is quite narrow, so if you have a bushy plant, you may want to position one bulb horizontally to reach the leaves down by the roots, and you may want to buy a few to cover more than one plant. 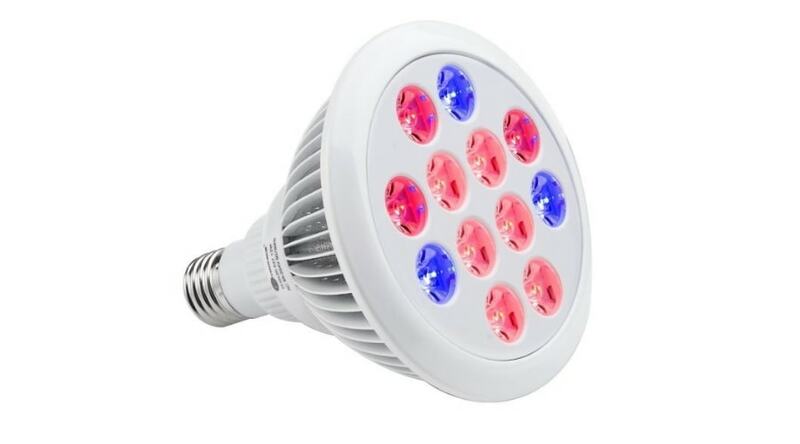 Whether comparing this grow light from TaoTronics to other bulbs users have tried or just using the bulb without experience with other types, consumers praised the value of this 12W grows light bulb. For the price, the long lifespan, and the convenience of being able to screw this into a standard lamp, you really can’t find a better value. 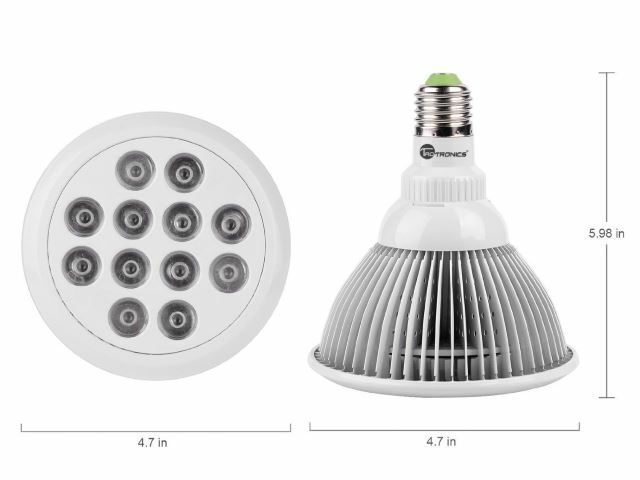 TaoTronics made these compact LED grow lights to be efficient, effective, and safe. They don’t get hot to the touch, and only warm, if that when used for several hours at a time. That’s one of the great things about LEDs – they produce stunning light, but not hot light, so there’s very little danger in running these lights even as you sleep. Plus, these grow lights don’t put out any UV lights, which means it is safe to use anywhere in your home. 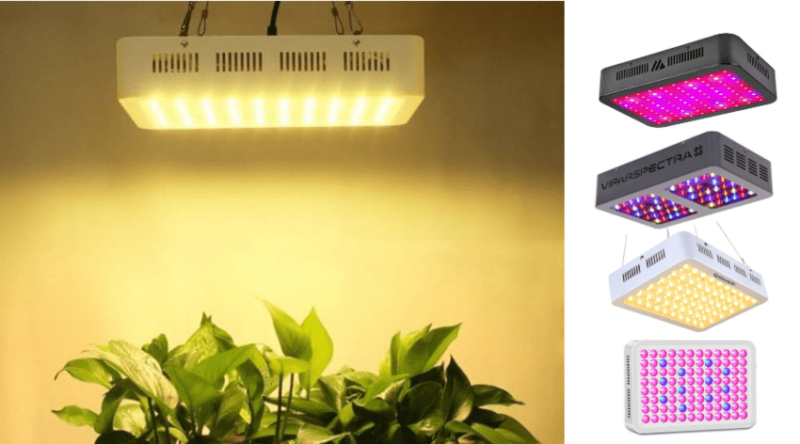 Almost unanimously, consumers have pointed out the efficiency of this grow light from TaoTronics. Some users even hooked up the light to a monitoring system to measure the energy used, and it’s quite low. As many people have pointed out, these 12-watt bulbs use less than the watts they’re listed at, so you save on your electric bill, and your LED grows light lasts longer. Like any product, there are going to be some defective units made. In some cases, the light didn’t work at all. In others, it worked for a few days, and then just stopped turning on. And other people experienced a working LED grow light for a few weeks that went dark on them. 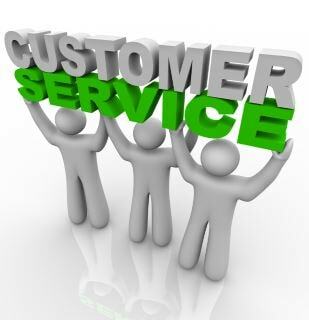 In almost every case, those who contacted customer service had a replacement sent to them at no extra cost. 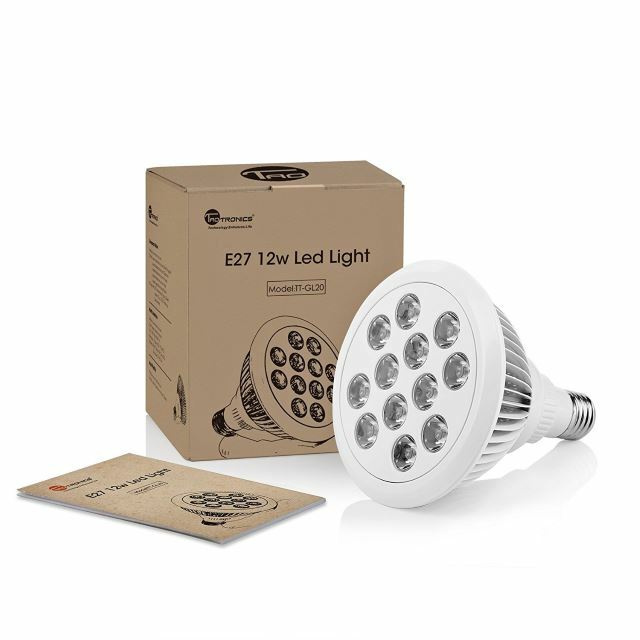 It’s that 12-month warranty that protects you when you purchase this bulb from a reputable source, and it’s one of the best warranties for a grow light out there. The majority of those who have had an issue with a bulb, whether it’s defective, or instructions were unclear, had positive experiences with customer support. The support team either helped guide them in the right direction in how to use these bulbs to help grow their plants or helped them get a replacement bulb if there were any issues with defective units. 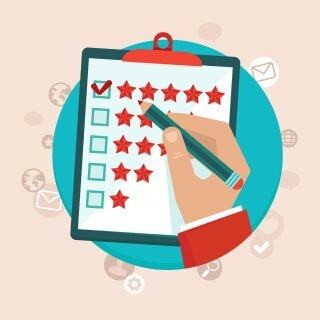 TaoTronics even monitors customer reviews to make sure every customer is satisfied. The best LED grow light is the one that works. 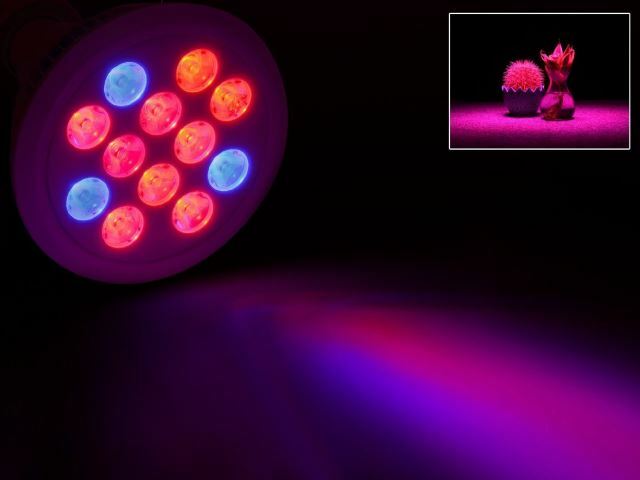 TaoTronics gets a myriad of reviews from satisfied customers who have reported more blooms than ever, leaves shooting up after only a few days of soaking up the LED pink glow, and overall happier plants. These LED grow lights take up very little electricity, and still manage to work well enough to help a struggling plant grow. The light stays cool to the touch, and it’s easy to use. All you need is a standard lamp to outfit a small space with a wide spectrum of light to help nudge the photosynthesis process along. If you need an LED to grow light for your growing projects, the TaoTronics LED grow light could be your best choice. It’s effective, efficient, safe, and affordable.